UFO makes cc, LIVING spirit appears on camera...click for report. Light-balls make "messy" genuine circles...click for report. Robbert "bi-locates" in several countries...click for report. 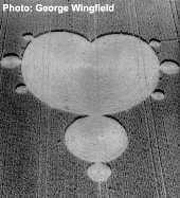 PURPOSE: The BLT Research Team Inc.'s primary focus is crop circle research - the discovery, scientific documentation and evaluation of physical changes induced in plants, soils and other materials at crop circle sites by the energy (or energy system) responsible for creating them and to determine, if possible, from these data the specific nature and source of these energies. Secondly, our intent is to publish these research results in peer-reviewed scientific journals and to disseminate this information to the general public through lectures, mainstream articles and the internet. PERSONNEL: BLT Inc. is composed of several hundred trained field-sampling personnel in the U.S., Canada and Europe who collect plant and soil samples at crop circle sites for analyses by a number of scientists (see "Professional Consultants") in various disciplines. 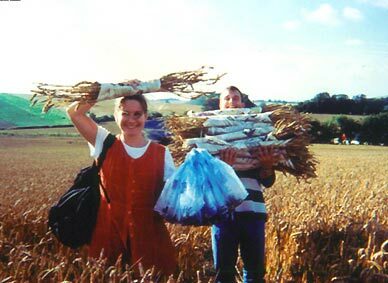 Fieldworkers in England with plant and soil samples which now must be hung up and dried before shipping. The hard work of these field teams and their careful adherence to field-sampling protocols has contributed enormously to the on-going discoveries in the laboratory and the large data-base of factual information which now exists. Nancy Talbott is President of BLT Research Team Inc. 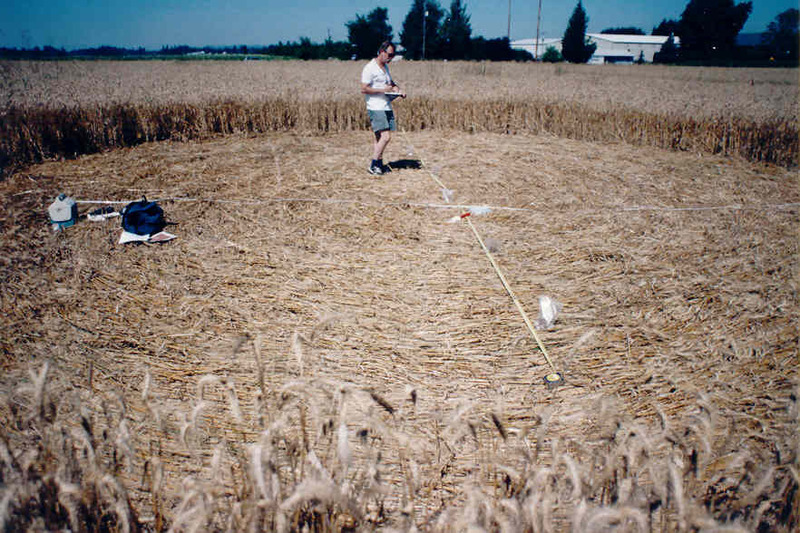 Taking measurements in a Canadian circle prior to plant/soil sampling. FUNDING: BLT Inc. was incorporated as a non-profit, tax-exempt U.S. corporation in 1999. All funding to-date has been from private-sector donations and gifts, which are tax-deductible. Significant advances in the scientific understanding of crop circle formation and related phenomena are heavily dependent upon such contributions -- all major financial gifts can be designated for specific research projects, if desired by the donor. Financial support in any amount is welcome. LECTURE/SLIDE SHOW: A 2-hour presentation is available which outlines the basic research and results obtained so far, highlighting individual crop circle case studies from a number of countries. 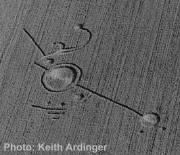 Slides of recent crop circles in North America and Europe are included, as well as anecdotal reports of associated strange phenomena encountered by personnel working in the fields each summer. The lecture and slide-show can be shortened or expanded, as desired, and is an inspirational educational tool for use in schools and colleges, demonstrating both the value of the basic scientific method and the excitement of new discoveries -- in the context of an intriguing, and still unexplained, phenomenon. Contact Nancy Talbott to schedule.